BSAFE is the new online security awareness training. It replaces both Basic Security in the Field (BSITF) and Advanced Security in the Field (ASITF). 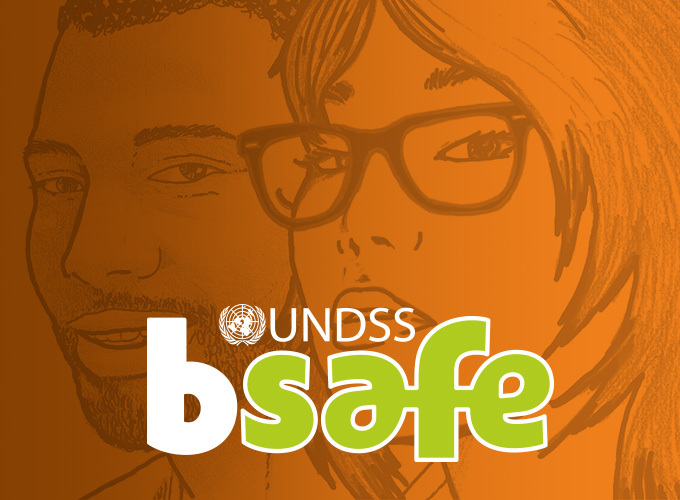 BSAFE is mandatory for all UN personnel, including staff, interns and consultants. BSAFE is also highly recommended for dependants. BSAFE can be completed within one hour and is mobile friendly. Learners will be able to access it using computers, tablets and smart phones, without requiring the installation of additional plug-ins. It is accessible for persons with a wide range of disabilities. BSAFE will be released in English and French in the fall of 2018, and in the other UN official languages by early 2019. All UN personnel, including interns and consultants, are expected to complete this mandatory course by 30 June 2019. Until that time, BSITF and ASITF certificates will still be valid. BSAFE certificates will not expire. Be informed. Be alert. BSAFE.